This is an instant no-no. Even though “what’s on the inside matters most” and “beautiful on the inside” is all true, NO ONE will want to meet you if they don’t know what you look like. This isn’t about looks, height, weight etc- it’s just a human thing. People want to associate a face with a person. Having no photo usually means that they do not want their face to be shown. That usually means that they are hiding something – something like the fact that they are married. You have only met 15 minutes ago, but this person has added you on instagram, facebook, linkdIn etc. And now they keep hounding you to meet up. First of all, they need to get to know you through the appropriate means. Then once you both are comfortable enough to meet up, you can arrange something. Asking someone to meet up immediately is crazy, desperate and shady. They have to put in time to get to know someone, be authentic and sincere. Either this person is super boring, is hiding something or can’t be bothered to write a few lines about themselves. If they can’t put in the effort to describe themselves to help find genuine connections with people, then they aren’t taking this very seriously and you should just ignore them. Does this person send out messages that feel like they could be sent to multiple people at the same time? Well that’s because they are messages that are being sent out to multiple people at the same time. If they can’t be bothered to write you a personal note, then they aren’t worth your time. This is online dating, not an email from your favorite clothing store introducing their new spring collection. This isn’t MSN messenger or AOL. People that use lame pickup lines are either in high school/ college or still think that they are. Either way, it’s more trouble than its worth move on. If they are super strict about when you can call them and where you can meet up. Then it’s a good chance that they are trying to keep you a secret. Meeting someone online is a lot like meeting someone at a bar. You might think that you can sense if something is wrong and gauge if they are a good person or not, but the truth is you can’t. Only after spending time with someone will you find out what their deal is. 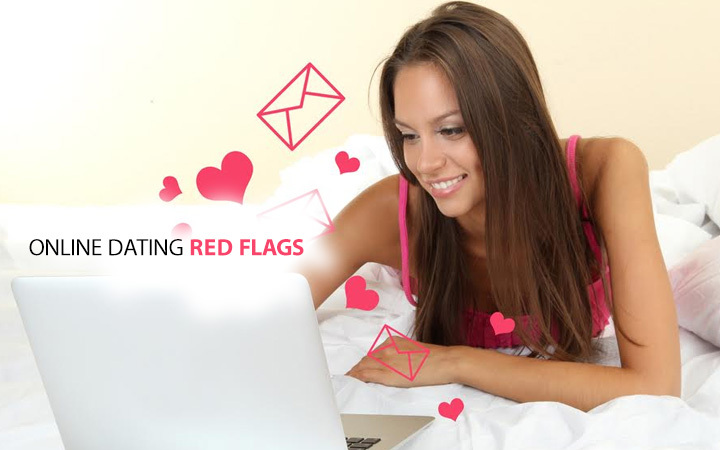 Same goes for online dating.Hope these red flags help! Romance helpers. We all know the expense of carrying on long distance relations. shadi team has created a list of good apps to allow you to communicate with your love interest for free. Click here.